Stealth Comb Knife | BUDK.com - Knives & Swords At The Lowest Prices! Everyone's always looking for the best, most discreet personal defense out there. 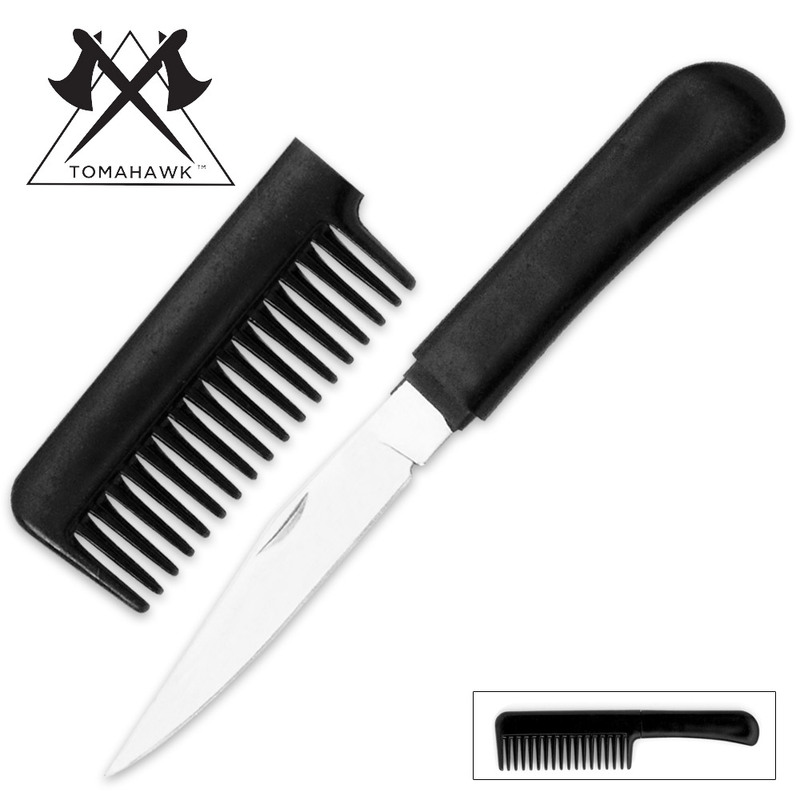 This stealth comb knife fits the bill perfectly, as it looks like a simple, harmless comb. Pull the top off to reveal a sharp stainless steel blade. I was expecting a novelty when I ordered this. What I got was a sharp, deadly self defense weapon. For the money well worth it. I bought one...family saw it and I had to order three more for them. It's pretty awesome for the money. 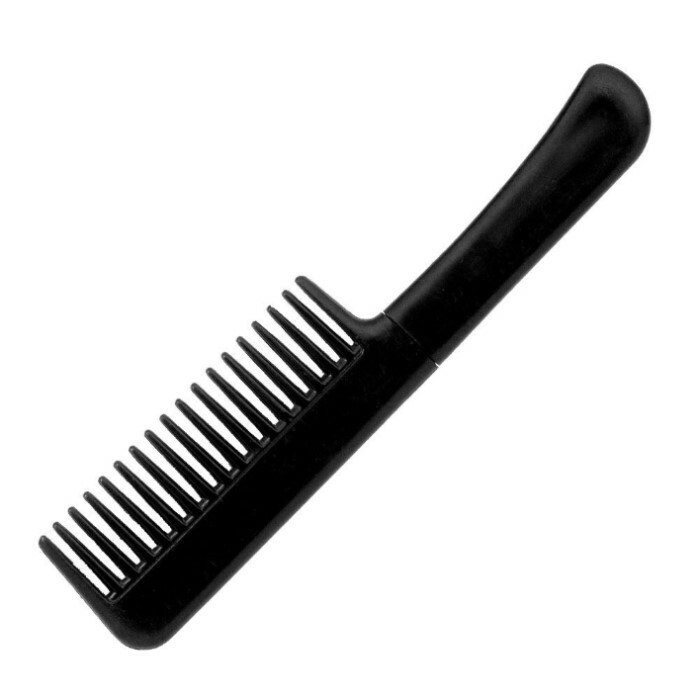 And for those of you wondering ...yes I use it as a normal comb on an almost daily basis. 4 bucks isn't that bad for just a super sturdy comb. No one has any idea that it is a concealed weapon when I use it. And no I'm not trying to be a tough guy when I use it in front of people...it just works well for me as a comb and people have no idea there is a concealed blade (at times I almost forget). I carry a comb with me daily so I figured why not give it a dual purpose. Works great as a letter opener but of course it would deter any attacker should it be necessary. Really cool item. I love this comb!! The blade seems strong, and it has a nice tip on it. My only complaint is that the handle comes out too easily, which can make it difficult when you're trying to us it as a regular comb. (But that's not really why any of us would buy it now is it?) Overall this was a great purchase and I would recommend it to anyone! When I saw the box I thought of those 10cent combs you see on store counters. Much to my surprise, the comb was solid and went through my below shoulder length hair. The knife handle held in place nice and snug. When I took it out, I found a pretty sharp blade. Can't go wrong with the $4 price tag. I bought this badboy thinking that it would be some crappy, flimsy single sided blade. I got it and I must say. If you're a vendor, buy 20 of these and sell them for $10+. People will buy them, I told my buddy how much I paid for it and he still offered me $15. After a quick sharpening, I did a stress test and the blade held excellently. Slight chipping happened, but what do you expect for slicing/stabbing blade. Overall: Worth every penny, and then some. Buy it as a novelty gift for a buddy, give one to your girlfriend/wife for self-defense, or just keep it for yourself! Picture is completely different than the comb you will get. It's doublesided and not matte. To: Lorie Erdhardt If I may, I believe you mistakenly got the $5 Comb/Knife by shipping mistake. That blade is as you say yours is, double-edged, and seems to fit your description.